Investing.com – The U.S. dollar rose to its highest in over a week against the euro in early trading in Europe Wednesday, after more soft data from Germany underlined the loss of momentum in the euro zone’s traditional growth engine. Incoming orders to German factories fell by 1.6% in December, their second straight monthly drop and the biggest monthly fall since June. Economists had expected an increase of 0.3% on the month. 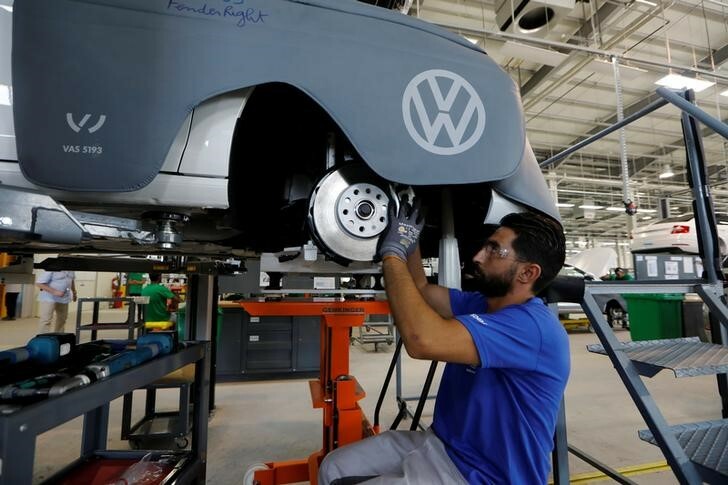 The news is likely to result in a weak start to the year for German industrial production, which tends to follow the orders data with a lag of one or two months. At 03:00 AM ET (08:00 GMT), the euro was at $1.1383, having earlier hit a two-week low of 1.1380. The British pound also slipped to a two-week low of $1.2926 after reports that Prime Minister Theresa May had accepted that the so-called “Irish backstop” would have to be a part of any withdrawal agreement it signs with the European Union. That further raises the risk that she will be unable to get the withdrawal agreement approved by parliament by the end of March, when the U.K. will formally leave the bloc. Overnight, the dollar had edged upwards against most currencies after President Donald Trump’s State of the Union address passed without any extreme drama. Trump again argued for funding for a wall on the U.S.’s southern border but didn’t even mention the possibility of declaring a national emergency to achieve his goal. The greenback posted its strongest gains against the Aussie dollar, after Australian central bank governor Philip Lowe said in a speech that the next move in interest rates could be downwards. The Reserve Bank of Australia has guided for over a year that rates had probably bottomed out, and omitted any mention of possible further cuts after leaving its key rate unchanged at its policy meeting the previous day. The AUD/USD pair fell 1.4% to 0.7129, while the NZD/USD fell 0.6% to $0.6847.